Contact Sara for enquiries regarding rug and carpet sales. 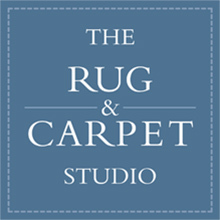 The Rug & Carpet Studio was established by Sara Tatum in 1991. After leaving art school rather confused about the next stage in her life Sara had various jobs working within theatrical wardrobe departments and assisting interior designers with curtain making and design projects. All of this instinctive enthusiasm for pattern and textiles, creating an impact within a space, made perfect sense when she started working with traditional tribal rugs and carpets. 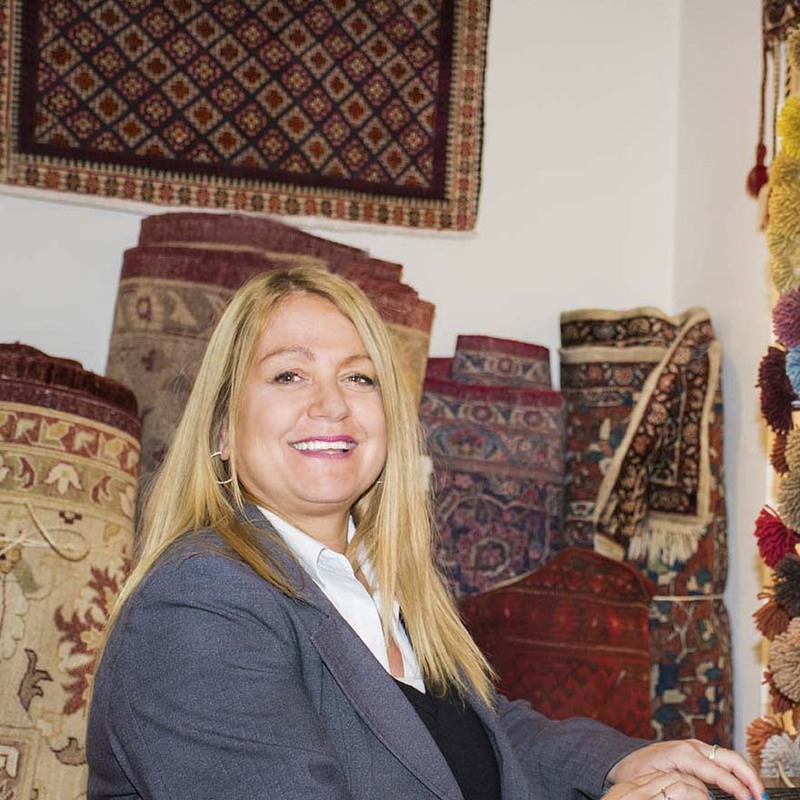 Sara’s initial interest was in the restoration and cleaning of rugs and carpets and she thoroughly enjoyed the opportunity to be utterly absorbed with their designs and colours. 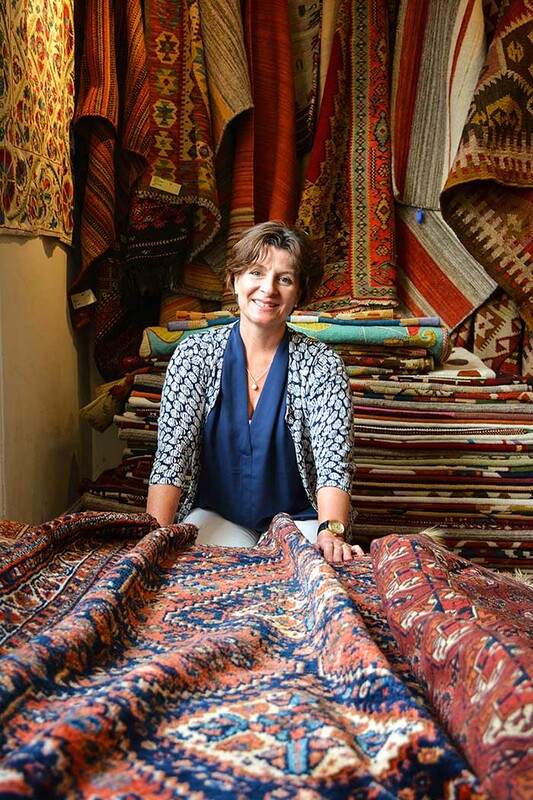 However, her compelling desire to travel further afield was fulfilled when people asked if she could help them find the perfect rug or carpet for their homes and collections.Her work has enabled her to explore the world looking for rugs and carpets. 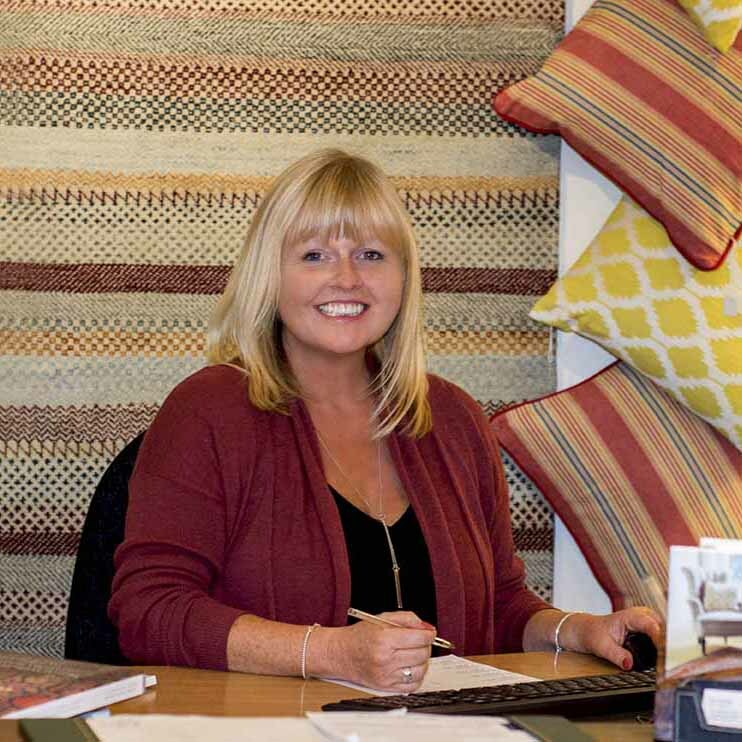 Sara has worked with some wonderful people and has built up a very reliable list of suppliers and manufactures.Over the years clients have become friends as she advises them about their homes and living spaces. 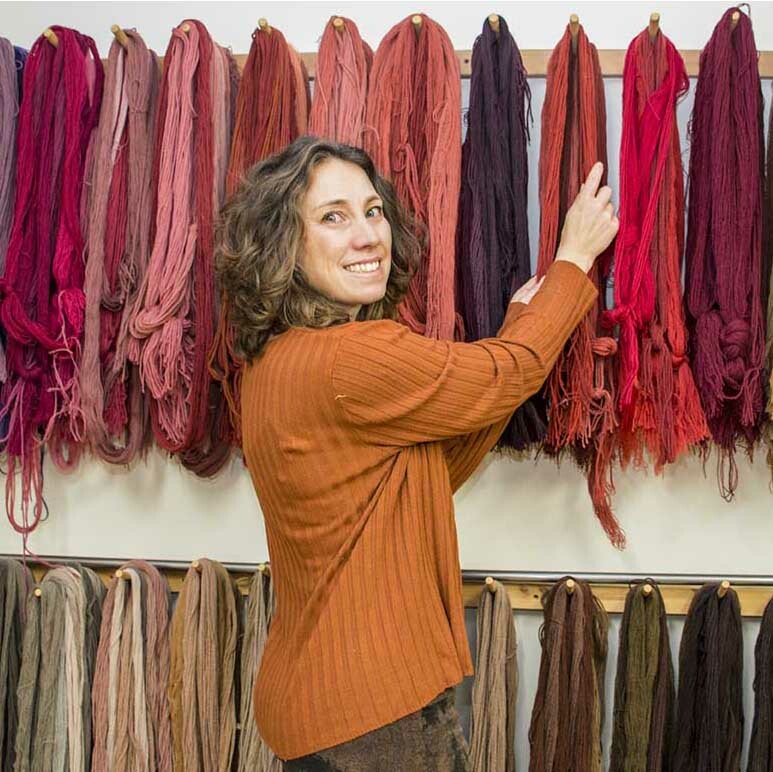 Historic homes owners have valued her advice on their rug and carpet collections. 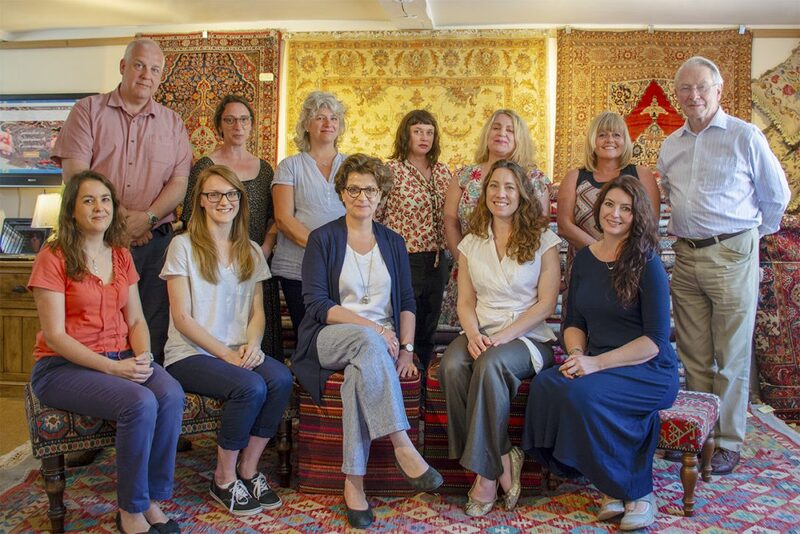 Sara is now recognised as an expert within the rug and carpet industry and is in demand from national charities, societies and interior designers to deliver illustrated lectures in a whole range of topics from the art of oriental rug making, the history of oriental rugs, through to room design. Loss adjusters and auctioneers value her opinion and Sara is regularly asked for advice with identification and valuations. Sara married Kevin in 2005 and they have one daughter. Together they have renovated and decorated three period cottages in Suffolk which are now part of a collection of very successful holiday let cottages. 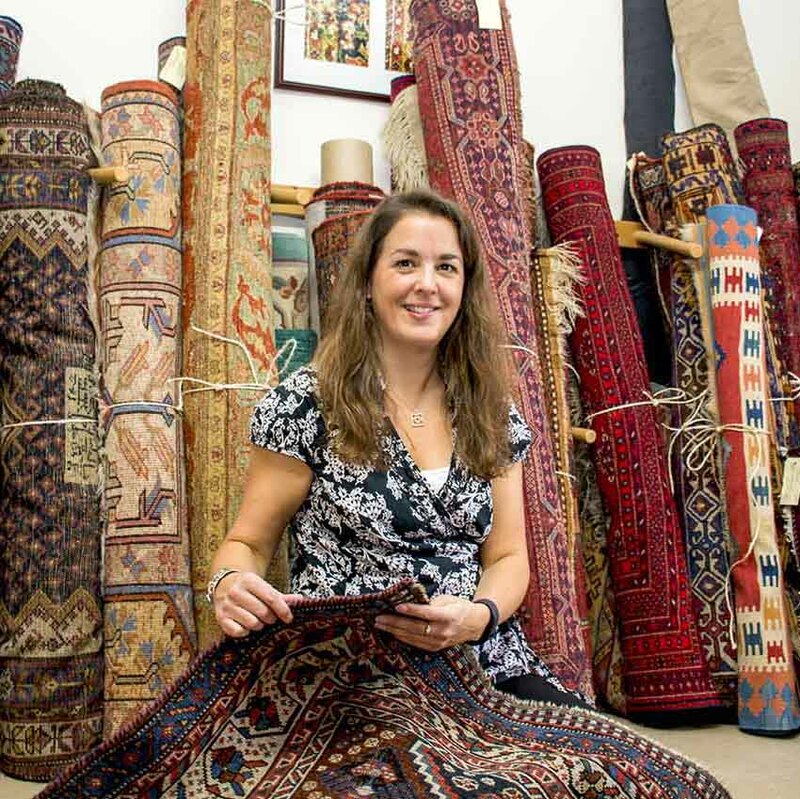 Contact Jo with enquiries regarding conservation-restoration, cleaning and moth treatment for your rugs and carpets. 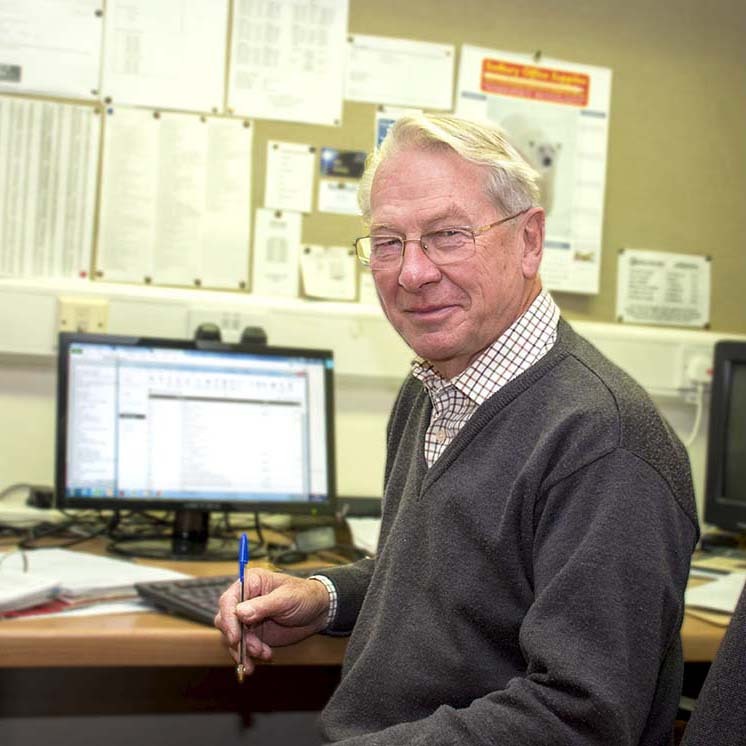 Lenka is an accredited member of both The Institute of Conservation and The British Antique Furniture Restorers Association. Contact Lenka with enquiries regarding conservation-restoration, cleaning and moth treatment for your rugs and carpets. Contact Tracy regarding general office and database enquiries.